We are a team of big kids dedicated to imagineering cool stuff that puts the brakes on tiring travel and the smiles back on family faces. We believe travel is about new experiences, creating memories and making every journey just as enjoyable as the destination. We have a team of talented imagineers that are dedicated to making travelling with tots a doddle. They use ingenious design (and a little bit of fairy dust) to create products for every journey, whether it's a day trip to the zoo, or around the world trip. 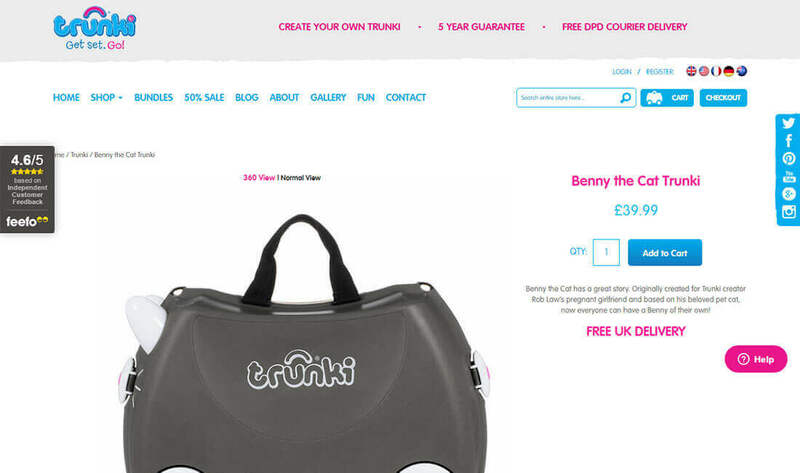 Trunki have very unique and great ideas to represent their products. They wanted to have an interface where user can customise his product and see how it looks in real time. 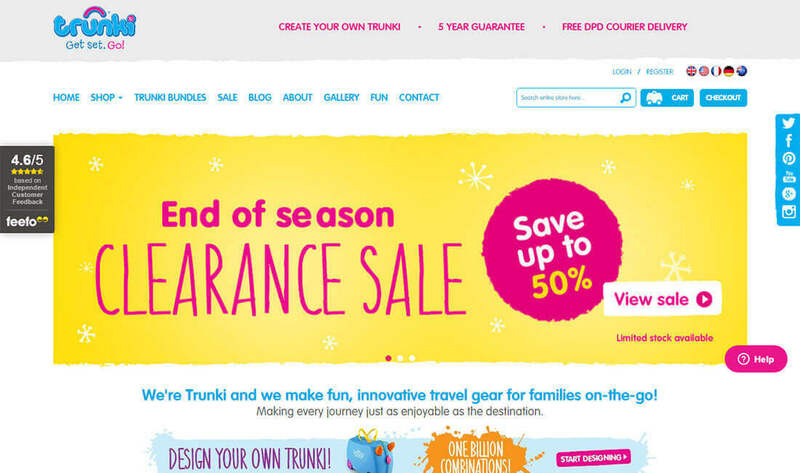 While using the eCommerce power of Magento we did multi-store setup. Number of extensions were developed to fulfil all the need of this creative website of creative product. 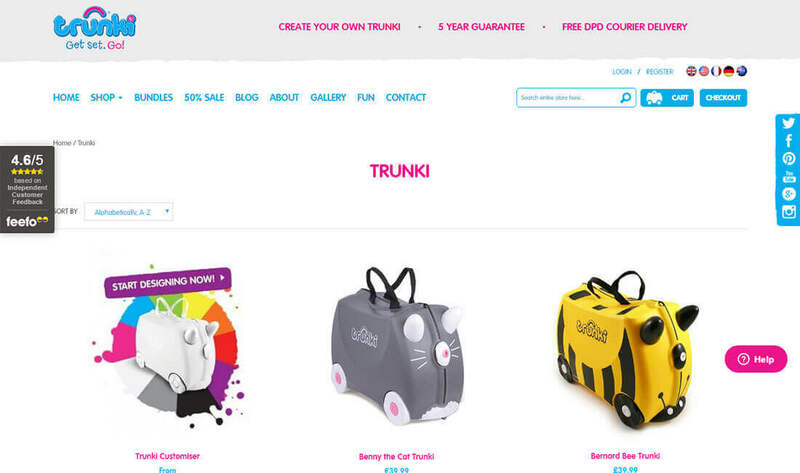 After delivering absolute solution respective to their requirement Trunki team is very satisfied with final output. 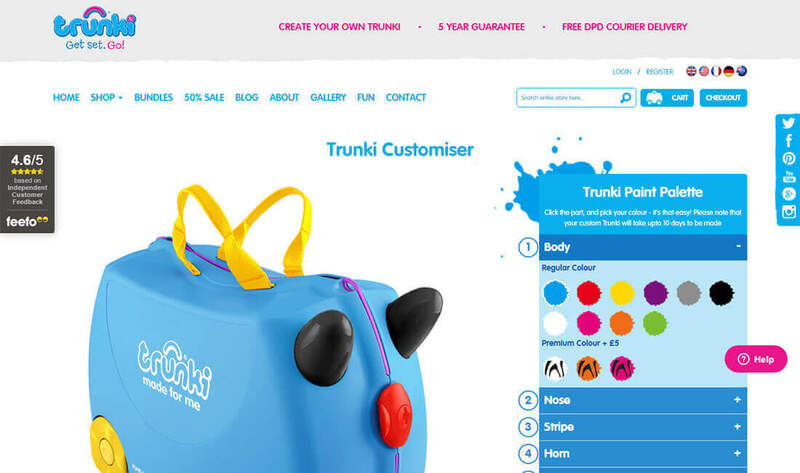 They also got huge response from customers, especially from Trunki Customiser page we created.